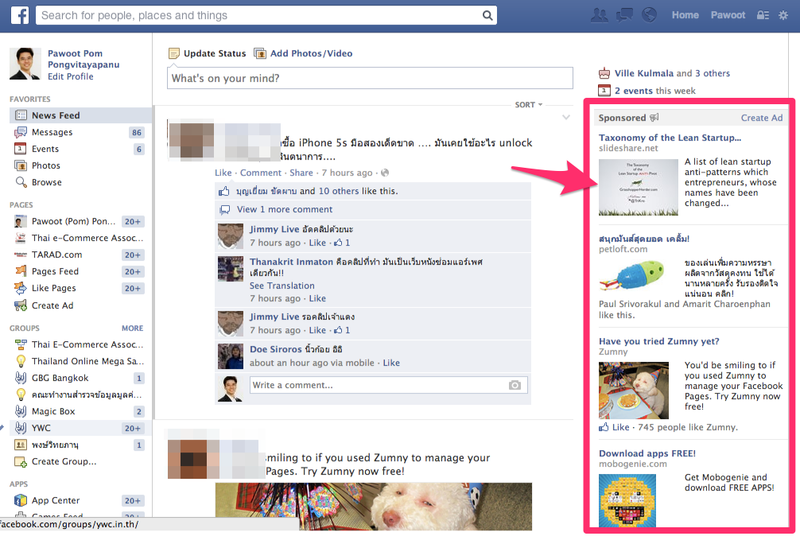 How to drive Gay Campaign via Facebook? As we all know that segmentation can be a key to success in this era, but how many of you are using it to your advantage to market to the consumers by segment? Whenever you are on Facebook, you might have discovered the advertisements at the right side of your Facebook screen trying to seek for your attention all the times. Of course the advertisements you see and what your friends see will not be exactly the same. Facebook knows your information including age, gender, language, location and behavior, which will be useful for advertisers to reach out their audience via Targeted Marketing. For example, if you would like to advertise a cosmetic set for women aged 50++, it is useless to market to the group of young women. You can also focus on a specific target audience by location such as only those located in Chiang Mai province or in Malaysia to be able to see your advertisements. 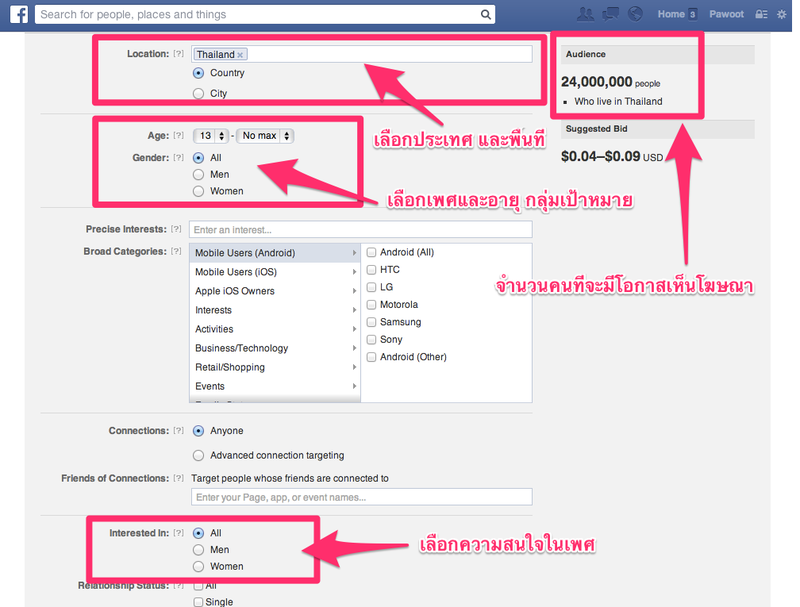 These settings can be done quickly and easily on Facebook. At the time of writing, there are more than 1.2 billion Facebook users in the world (55% of Internet users in the world), which makes Facebook Advertising as one of the most powerful advertising channels to access customers located anywhere just by a couple clicks. 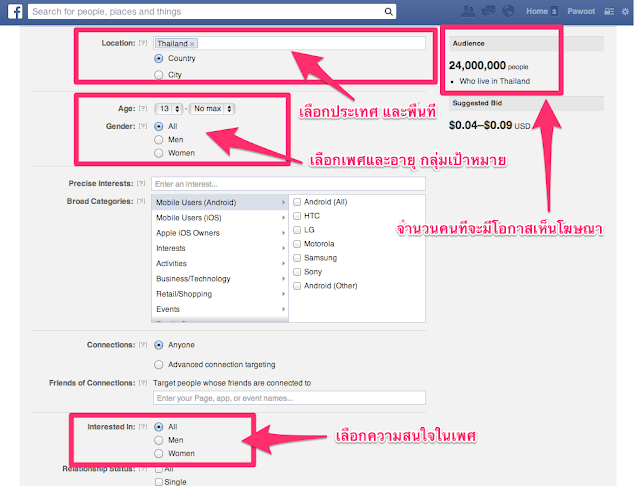 Out of the total 24 million Facebook users in Thailand (as of October 1, 2013), Rakuten TARAD.com found out that 320,000 (1.34%) Facebook users in Thailand identifying themselves as male who are interested in men. In Thailand, the majority of men who identifying themselves interested in male are driven to be fit & firm, healthy and sporty, in short owning good-looking muscles. We do believe that this target group own higher purchasing power than others since they are unlikely to have family and children. 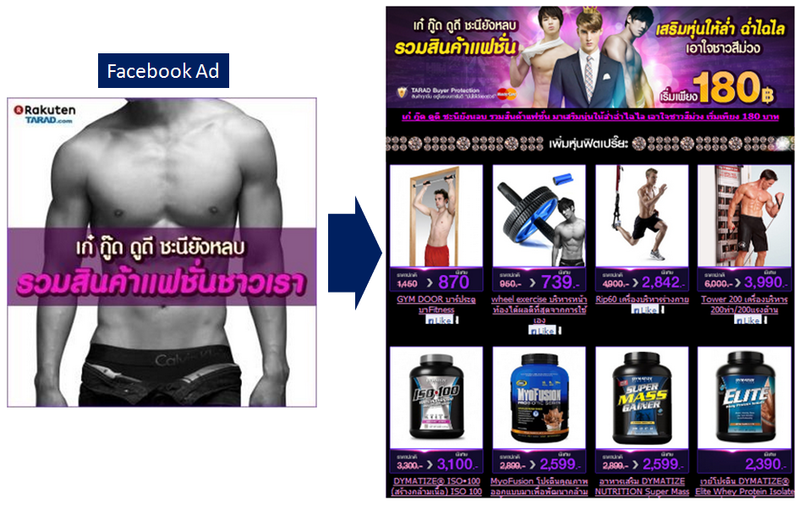 Therefore, Rakuten TARAD.com has launched its first "Get Fit & Gain Muscle" promotion in 2013 by gathering all products that could serve specific demands of Thai men who are passionate to get fit, go healthy and gain muscle; such as gym equipment, sporting goods and supplements. The campaign also offers discount up to 50% to stimulate purchases. How did we drive this campaign? As you might have guessed, Facebook advertisement with a budget spending of $400. The Facebook Ads would only appear for this segment: men interested in male, in the age range between 20-60 years old and living in Thailand. This social media advertisement has reached half of the targeted segment. Almost 160,000 men who are interested in male (from a total of 320,000) have seen the advertisement, and each of them has seen it up to 13 times. This also means that the campaign's cost per view is low as 0.75 Thai Baht (0.024 US Dollar) per view. 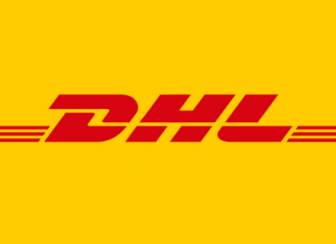 Gay Campaign - Does it Work? As a result, this powerful segmentation marketing has generated more than 1,300 new "Facebook Likes" to our Facebook Page which is three times higher than normal days. More importantly, our Gross Merchandise Sales (GMS) has increased by 200% during this promotion period. By just utilizing small advertising budget, Rakuten TARAD.com has reached out to half of the total "men interested in men" in Thailand. The campaigns shows that even with small investment in terms of budget and resources, you can reach out to the right audience with the right market segmentation. 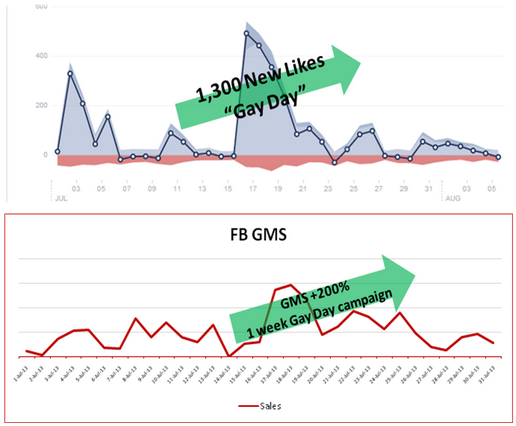 ecInsider: How to drive Gay Campaign via Facebook?